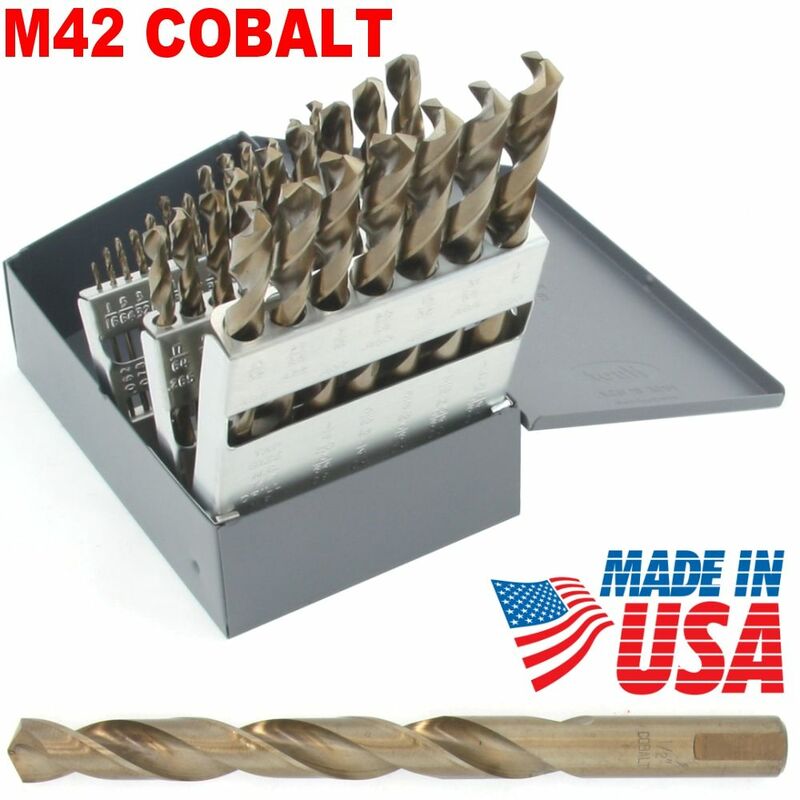 The strongest drill bits available. Easily drill through the hardest materials! 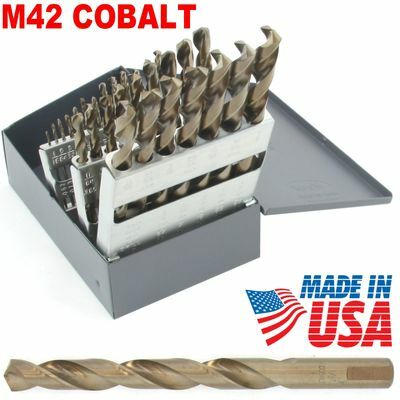 Use these cobalt bits to drill through the hardest materials such as stainless steel and they will still retain their edge. Self-centering split point design reduces skating. These bits are the REAL THING, made of COBALT ALLOY. 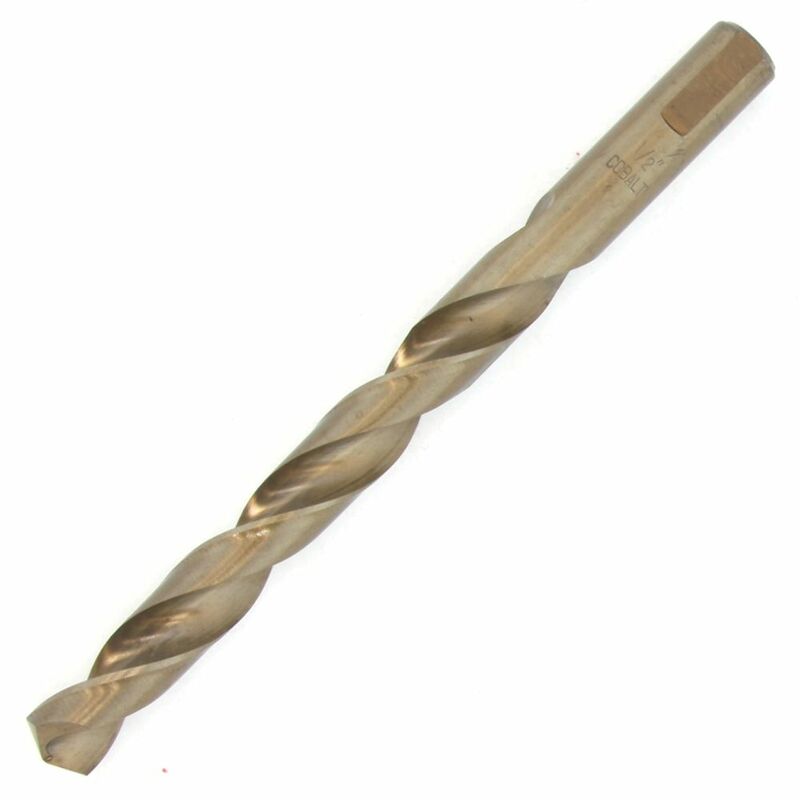 These are far superior to any drill bits available such as titanium coated bits and others. These bits are not just coated but made of Solid Cobalt alloy. Includes steel case & index.